We are pleased to announce that effective 1 Dec 2016, Mr Yap Lian Seng will be the Managing Partner for Insights Law LLP, a member of ZICO Law in Singapore. Lian Seng has more than 22 years of professional experience in mergers and acquisitions, corporate finance, and restructuring matters. He specialises in reverse takeover transactions and has successfully pioneered other transaction structures in the Singapore legal market. Lian Seng has been named “Leading Lawyer” in Capital Markets and Corporate Finance in major legal industry publications and was lead counsel in the restructuring of China Aviation Oil (Singapore) Corporation Limited which won the “Singapore Restructuring Deal of the Year” at the Asian Legal Business Awards for the years 2003, 2004 and 2005. Prior to joining Insights Law, Lian Seng was a director and partner in Morgan Lewis Stamford, the merged entity of Stamford Law Corporation where he had been one of the founding partners since 2000. Lian Seng led the well-regarded Mergers and Acquisition team at Stamford Law Corporation until the merger. After graduating from King’s College, London with an LLB (Hons), Lian Seng was admitted as a Barrister-at-Law, Lincoln’s Inn, London in 1993 and called to the Singapore Bar in 1994. 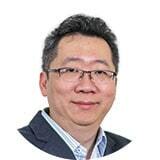 “With over two decades of extensive professional experience, I am confident that Lian Seng will lead Insights Law forward, and continue to provide excellent quality of advice to all our clients with business interests in Singapore,” said Chew Seng Kok, Chairman of the ZICO Law network. Lian Seng will helm the firm together with directors Gregory Chan, Chua Wei Min and David Lee. Insights Law is now strengthened in its provision of comprehensive business solutions via the multidisciplinary platform of services and combined resources of ZICO’s network firms within ASEAN.